Social smokers behave very differently. Social Smoking: how is it different? There are many social smokers. In the US, social smoking is increasing, especially among young people. Who are they? What are their habits? And most importantly is it easier for them to quit? What is a social smoker? Social smokers limit smoking to specific times and places: parties, bars, restaurants, barbecues, on the weekends,… They don’t light up every day and smoke occasionally, usually in groups. For instance, most of them don’t smoke in their house, in their car or first thing in the morning. In fact, they can go for weeks without smoking but will smoke half a pack at party or on vacation. For social smokers, smoking is more a treat than a daily habit or an addiction. Indeed, they don’t consider of themselves as real smokers and as addicted to nicotine. Some of them don’t even buy packs and scrounge for their cigarettes. Is social smoking a real thing? A lot of people don’t believe in social smoking. They think that social smokers are low-level addicts either in denial or on the brink of addiction. Part of it is true: studies show that not everyone who identifies himself as a social smoker actually is. But that doesn’t mean that social smokers don’t exist. Many social smokers started smoking casually when they were young but never graduated to a daily habit. Their smoking never increased. 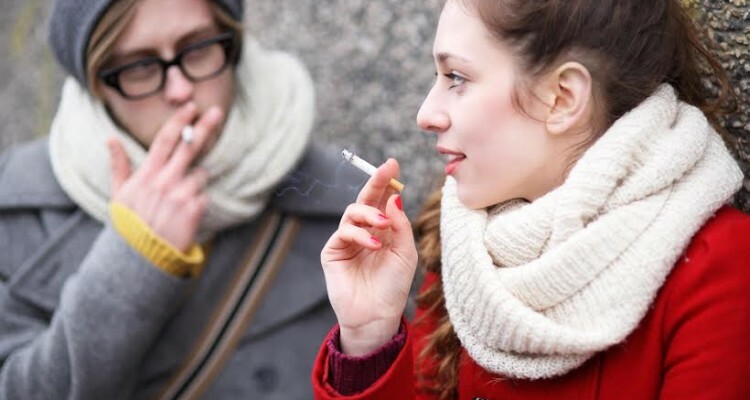 Moreover, the growing awareness of health risks, the bad reputation of smokers and smoking bans in public places have changed behaviors. Some heavy smokers cut back and become social smokers. It is much harder not to smoke when you are in a social situation, surrounded by smokers. At what point do you stop being a social smoker? A 2005 study that followed social-smoking college students for four years found that one-fifth of them became daily smokers. Social smokers might think they are not addicted and the risks for their health are much lower but sometimes they become regular smokers without noticing it. If you start buying packs before you finished the last one, if you start smoking daily and by yourself, if you smoke anywhere, anytime then you are not a social smoker anymore. Can social smokers easily quit? If you think it’s easier for social smokers to quit, you are wrong. They suffer from a different type of addiction. They may not be addicted to nicotine but they’re still hooked on smoking. For social smokers, smoking is a ritual, a source of pleasure. Knowing why you smoke is the first step to quit smoking. Social smokers smoked more out of boredom and habit than nicotine addiction. This is exacty why it’s so hard to kick. Are You Really Gaining Weight When You Quitsmoking?